Simple Сhange Sort and Limits It's an easiest way to change default sorting and limits for category, search, special and manufacturer pages. 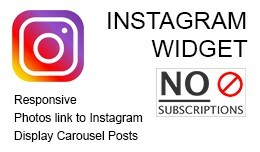 Simple Instagram Widget for your Opencart Store Сarousel mode. Automatically display photos. Links to Instagram page and to photos. Displays likes and comments. Without any subscribes and external services. NOTE: Access Token is requi..
ОПИСАНИЕ Модуль импорта отзывов с Яндекс Маркета на свой сайт. Получает отзывы по конкретному товару и записывает их в стандартные ..
Модуль импорта отзывов из ..
Show all products on one page Demo OpenCart 3.0.2 Sometimes you need to display all products in a single page This module show all the products in one page and use the dafault category functionality Module use category template and su.. When opencart resizes images it throws away the RGB profile and makes images look randomly on every monitor. 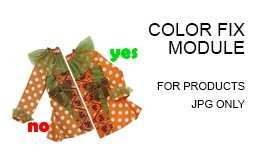 This modification copies the color profile from your original image into your new image. Module works with jpg images. 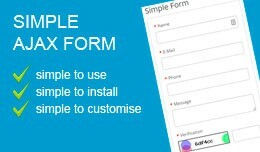 Simple Ajax Form Simple Ajax Form is a module that allows you to add forms for your website. You can use inline or popup mode. Features Ajax submit Customise emails for forms Inline or popup mode Optional fields (name, email, phone, m.. Simple Watermark module Simple Watermark module allows you to add watermark to images that applied to products. How to repeat watermark? 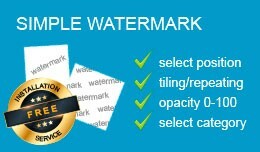 It's simple with Simple Watermark module! Easy to use. Easy to install. Easy architecture. No fil.. 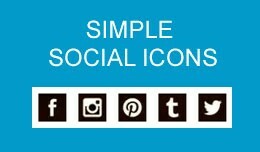 Simple Social Icons You can add social buttons to your website. 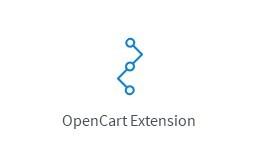 Features Add different icons Change size and order Easy installation No files will be replaced Demo http://demo.simple-opencart.com/ http://demo.simple-opencart.c.. Simple Reviews (Testimonials) Module Simple Reviews Module allows to show product's reviews in any place on web-site. 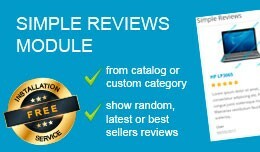 You can choose: reviews from all catalog; reviews from custom categories. You can show reviews: random; latest review.. Simple Products Module To Show Random, Bestseller, Latest Products Simple Products Module is a real simple module to show different types of products on shop's pages. 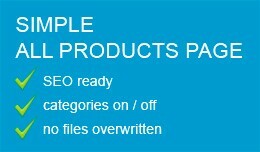 For example, Simple Products Module with Random products can help you d.. 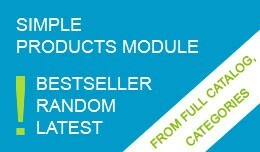 Simple Products Module ( Random, Bestseller, La.. Simple Last Viewed Products ( Recently Viewed ) Simple LastViewed Products is a real simple module to show products customers viewed. Can display customer's last viewed products on any position on your store. OCMOD Easy to use. Easy to.. 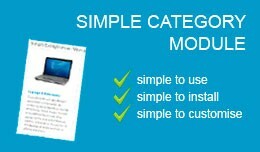 Simple Module Category (Category Wall ) You can add custom categories to any place on website Features Custom categories Image and description of category Admin panel for customising placing Demo http://demo.simple-opencart.com/ .. 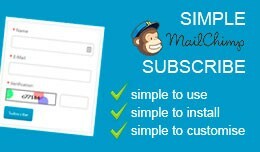 Simple Mailchimp Subscribe Simple Mailchimp Subscribe module is very useful to collect emails in Mailchimp. Just push the button and add email. Features Display Subscribe form Uses Ajax technology to submit the form Captcha (you can tu.. This plugin creates vertical mega menus for categories, allowing users to view available menu options for each top-level menu item. 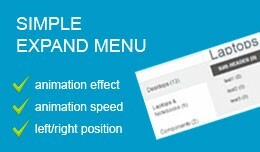 There are several plugin options available for customising the mega menu: Choose animation effect for the f..